Developed in conjunction with CERT volunteers and trainers and based directly on information from FEMA, the CERT Rite in the Rain products are an essential part of your emergency preparedness plan. 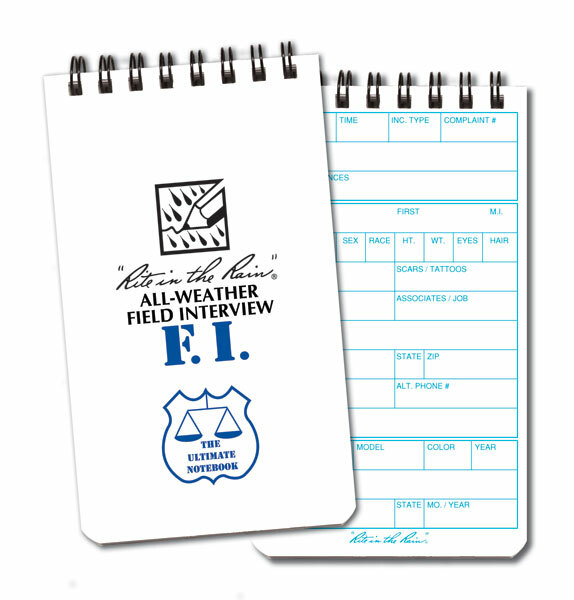 The 3" x 5" Field Interview Notebook is our most popular public safety notebook. 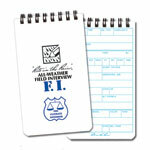 Its convenient size and functional field interview page format make it standard operating equipment for thousands of officers across the United States, Canada and around the world. Miranda Rights are printed on the back cover. 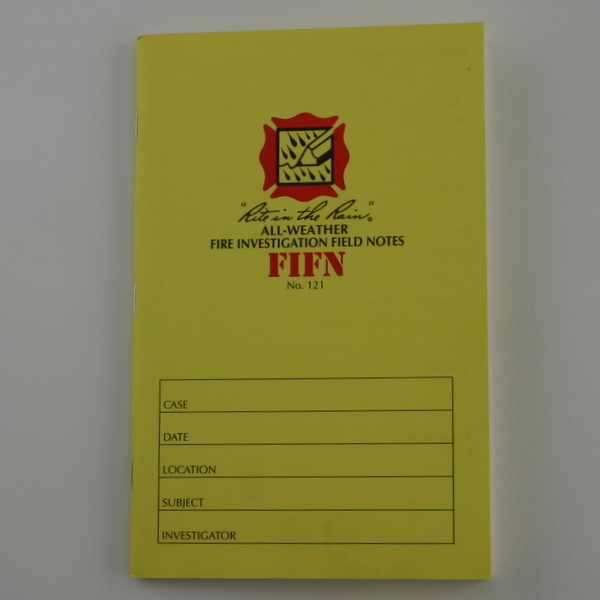 Contains 50 sheets of the F.I. form. Black Leather or Cordura® Covers are available. 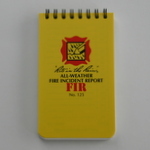 5 1/2" x 8 1/2" notebook contains a full Fire Investigation Field Report. Staple-bound with a Rite in the Rain tagboard cover. Standard duty gear for all. 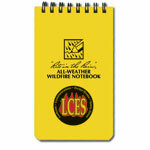 This 3" x 5" notebook is perfect for collecting on-site fire scene data. 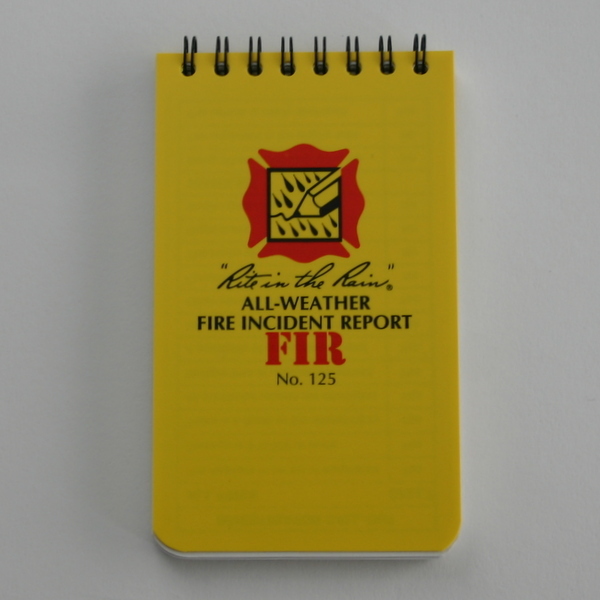 Records: location, victim, witness, vehicle and equipment information. 50 forms with note space on reverse. 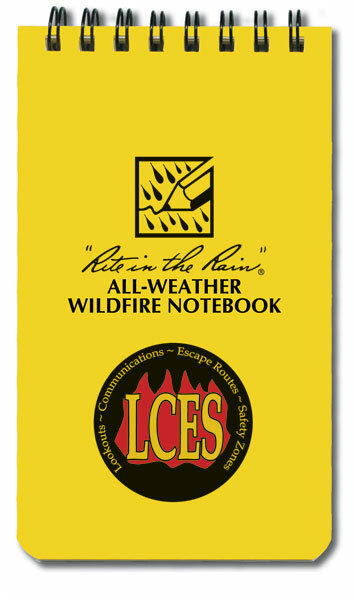 This 3" x 5" notebook is ideal to record fire data on site and is printed on Rite in the Rain All Weather paper. Contains 50 sheets (100 pages)of the Universal Pattern.